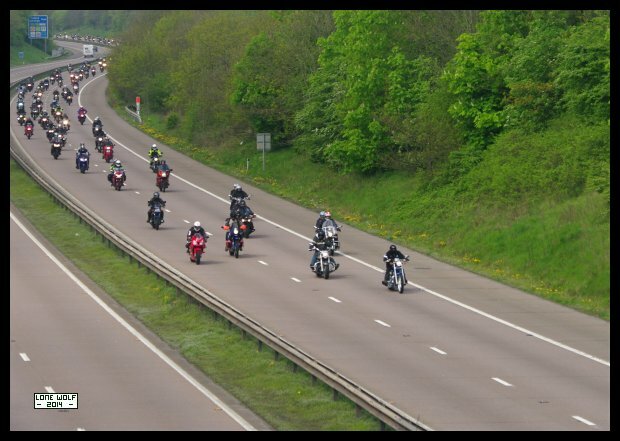 The "Bike 4 Life" ride out passes Shifnal on their way to RAF Cosford. Monday and the TCT took a 160 mile trip to the Anderton boat lift and back. Thursday and I took DOT out on test - towing the Dog Kennel. Took temperature readings on the gearbox oil cooler. Fitted a thermostatic fan switch - will have to go out on test again to prove it works. Sunday and I went to watch the "Bike 4 Life" ride out go past.